Our dialysis clients can be reassured they are using the most up to date machines when they come for treatment every Monday, Wednesday and Friday. RDHS Nursing staff provide a high quality service which is supported by clinical/medical staff from Royal Melbourne Hospital. 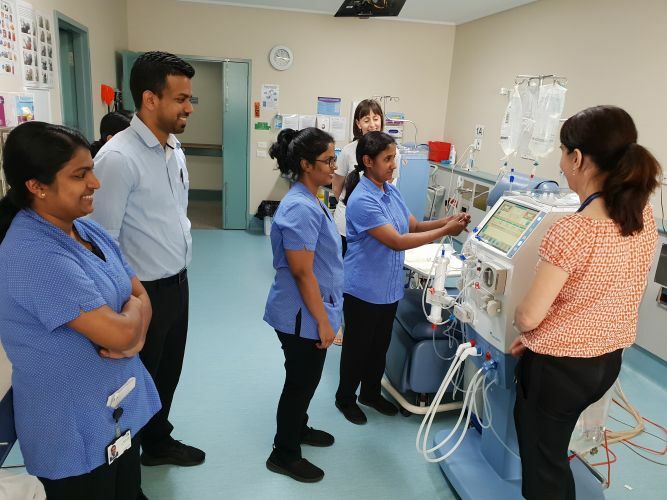 Pictured are the wonderful staff from Royal Melbourne Hospital giving instructions to RDHS staff on the new machines.